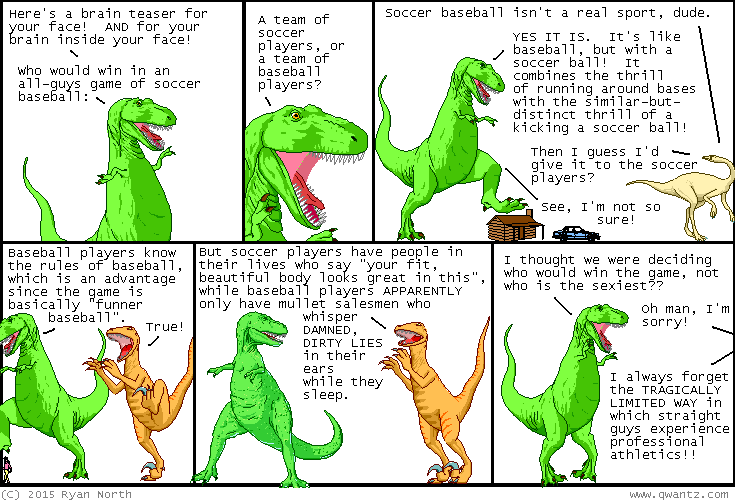 Dinosaur Comics - October 21st, 2015 - awesome fun times! October 21st, 2015: Today, for once, actually IS the day Marty travels to in Back to the Future II! To celebrate, I went back in time and wrote a review of the official novelization of Back to the Future, which is also officially crazy, I PROMISE. One year ago today: today is the day i wrote a comic costarring GOD HIMSELF in which he says "t-rex what end are you eating with"